This is very easy. Get and old wooden hanger. And some small metal hooks, for this one I used 20. I measured out where I want the hooks evenly and started screwing them all in. 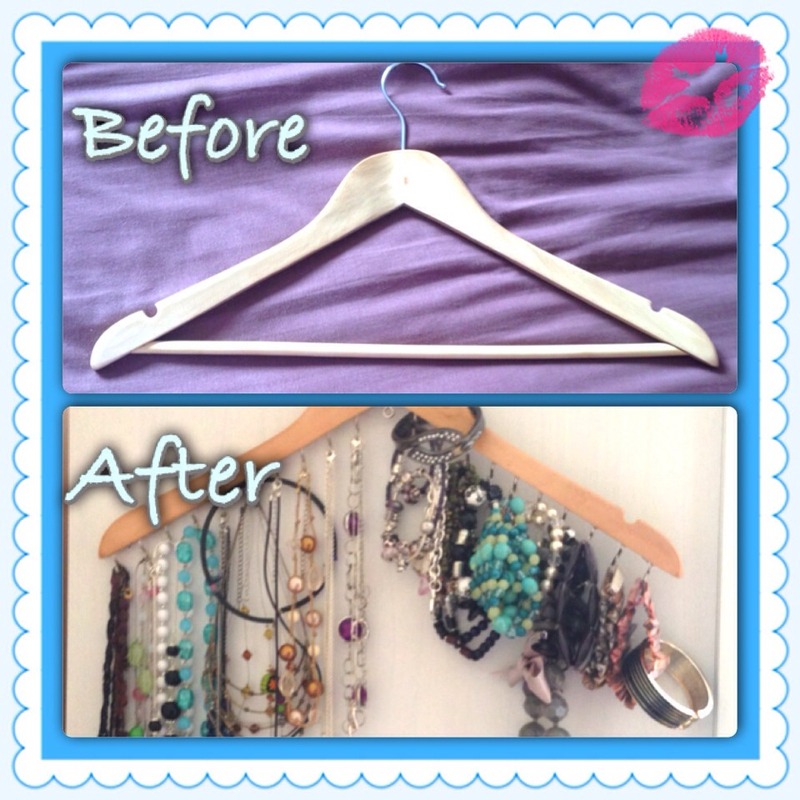 ( my figures were very sore after I did this ) Then jus hang the hanger somewhere and put your jewellery on it. Got this idea of Pinterest. But this is my finished project.